Vous souhaitez poser une question à l'établissement Phitsanulok United Hotel ? Le Phitsanulok United Hotel, rénové en 2014, garantit à ses clients un excellent séjour professionnel ou récréatif à Phitsanulok. L'établissement n'est qu'à une jetée de pierre du centre-ville, soit 7.6 km, et le trajet vers l'aéroport ne dure généralement que 19 minutes. Grâce à son excellente situation, l'établissement permet de se rendre facilement sur les sites incontournables de la ville. 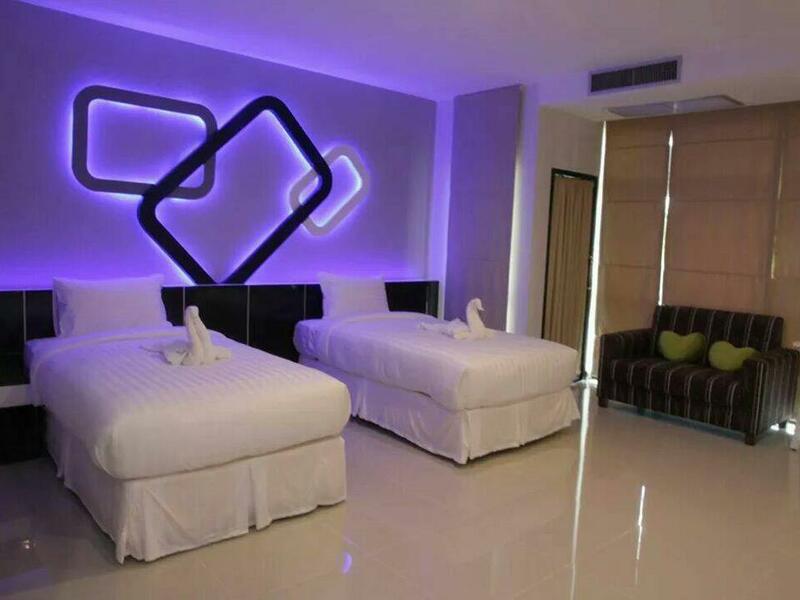 Les équipements et les services proposés par le Phitsanulok United Hotel sont la garantie pour les hôtes d'un séjour agréable. Les clients de cet établissement peuvent profiter d'équipements tels que service en chambre 24h/24, WiFi gratuit dans toutes les chambres, réception 24h/24, parking, service en chambre. Toutes les chambres disposent d'équipements assurant un niveau de confort sans égal. L'hôtel propose des équipements fantastiques, comprenant entre autres centre de fitness, sauna, spa, massage, aire de jeux pour enfants, pensés pour que vous puissiez vous détendre après une journée harassante en ville. 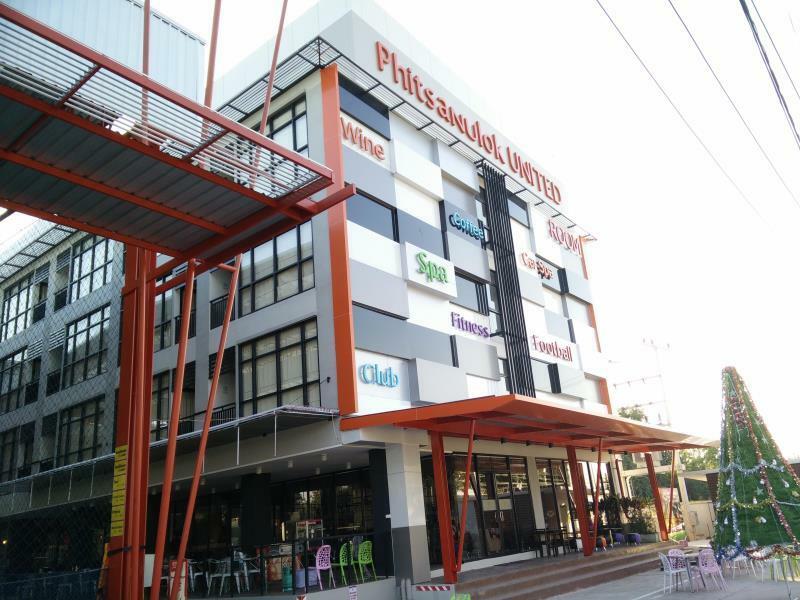 Services hors pair et adresse prestigieuse sont le lot du Phitsanulok United Hotel. I came to Phitsanulok to visit Naresuan university and Rajabhat university. This hotel is in the middle of both of them. So the location is quite ok according to that. However, it's far from town. So I couldn't explore the local store or food easily. Despite that, the restaurant provides very tasty dinner at affordable price. The gym is excellent! It's like full service sport club. I could use gym, sauna, steam room, and join the classes as complimentary. Breakfast was ok.
Great stay here The rooms were modern and well equipped-huge tv and fantastic shower.very clean room overlooking the football pitch-I guess it could be noisy sometimes but only until about 10pm.great Restaraunt,free use of gym and sauna.could not fault this hotel and only 1,200 baht such brilliant value!! Great and fun! The room was very clean and the toilet has a TV. The staff was reliable and warm welcoming! All staff has very good attitude! Room overlooking the football field was nice. We were able to play the football with the kids after the buffet breakfast. However , the playground was under construction. Gym room was good enough. The breakfast was simple but good enough for its price. The beds were very comfortable, comparable to a 4-5 star hotel. Keep it up! Hope it will be as good as it is when we come back next time. First let me say that this is one of the best gyms I've seen at *any* hotel, *anywhere*. The equipment is first rate, and the people running the gym really can't be nicer or more professional. If you want to stay somewhere and get a good daily workout -- look no further. The front desk staff however is beyond awful. They lack basic hospitality skills. Upon check in we were assaulted with a blast of unwelcoming claims that our reservation was not in order. After finally being shown to the room we had reserved, they continued to treat us as some kind of imposters for the next 4 days. Upon check out, they banged on our door at *exactly* the checkout time and told us flatly to leave "now". After paying, and driving all the way to the airport, they called my phone and demanded that I return the keycard to the room. (Which I had done already). Then they threatened to call the police! Over a keycard! These people need replacing. They are nothing short of a disaster. We always stay here when we are travelling South. 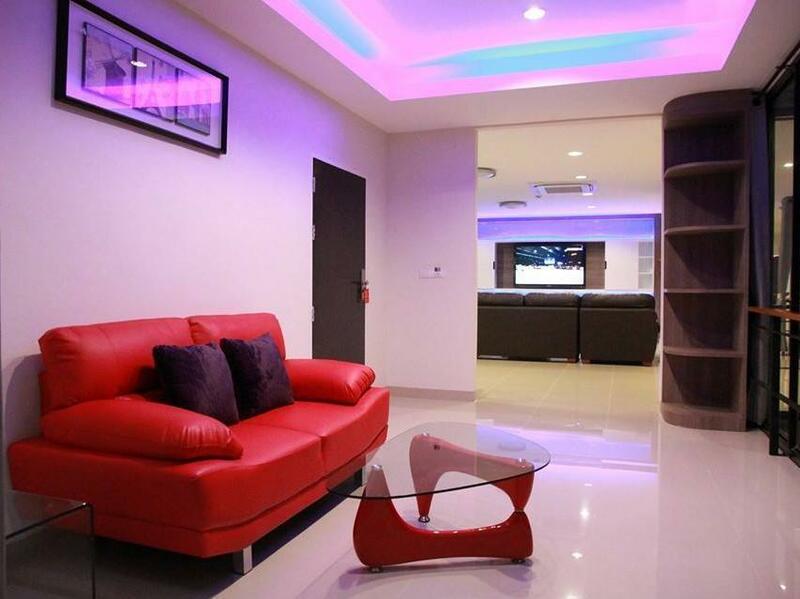 It is easy to get to, clean, comfortable and safe, and has the added entertainment bonus of watching football matches from your room. An excellent gym, too. Tesco Lotus is nearby. You do need a car though, as it is out of town. 1. Cleanliness. 2. Feeling safety. 3.Valuable. Our family feel wow when we arrived at this hotel. The room and accesorries are ovrr expectation. 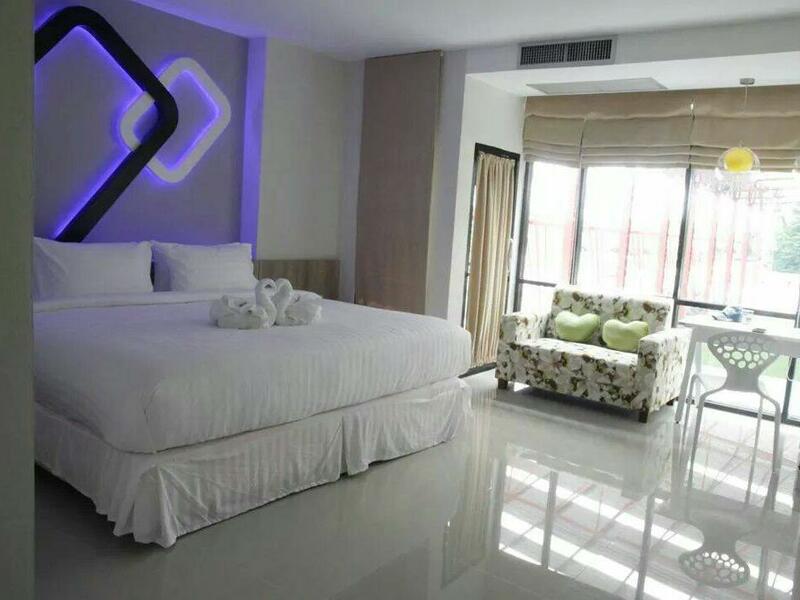 There are a lot of things to match the travellers' need, free room wifi( workable & strong signal), USB plug to charge mobile; TV in bathroom( for sport fan) etc. The good quality of bed and pillow. All everythings in the room are new and clean. We can see the football field from the room window. We love this hotel. Hotel is so value for money to pop in for either business trip or travelling. bed clean/ food not bad/ location good for travelling. room was very clean and breakfast is very delicious.. staff attitude was good... everything is good.. i would like to recommend..
it is a bit far from the center but it is one of the best hotel I had in Thailand. Highly recommend if you have a car. Hotel & Staff i.e. others is really good/ value for the money. either on business trip or family vacation.